Building upon the success of the previous Custom line, the EX Alto has been retooled to offer the classical player many new and exciting features while maintaining the same beautiful sound and excellent intonation long associated with the Custom series. 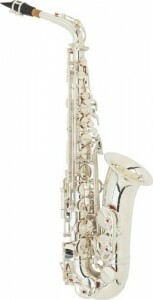 New features include a design change that lessons resistance and increases projection, ergonomic improvements that enhance the overall playability of the instrument and a new lightweight case design!The Custom EX is the result of decades of painstaking research and trials involving some of the worlds greatest saxophonists. The Yamaha YAS-875EX Custom Series Alto Saxophones depth, smoothness, and flexibility of sound is simply incredible; creating a wide dynamic range, stunning projection, and an authoritative tone with a defined tonal core. Physically, the size and shape of the key buttons have been changed for a better feel. The new handmade Custom G1 neck enhances tonal resonance and gives a quicker, more comfortable response. A two-point bell brace and no center-bow reinforcement plate creates better playing efficiency. 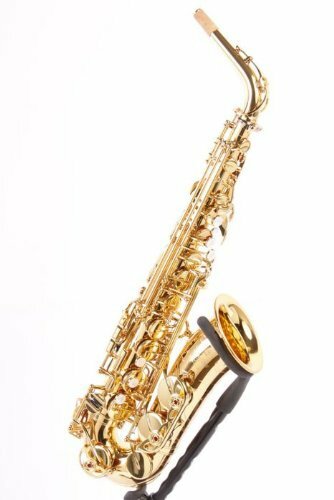 In other words the saxophone will sound great with less effort.The smaller C, C#, D & E tone hole diameters provide for better intonationThe new smaller cup diameter allows for better response and resonanceThe custom handmade G1 neck improves response and flexibilityKey and hook placement have been changed for better comfort. The position, height, angle and shape of the left-hand spatula keys have all been carefully redesigned to provide extraordinary comfort and quick response.